Moderate to severe acne can lead to scars on your face. If you suffer from acne outbreaks, take steps to prevent your breakouts from scarring your skin. If the damage is done and you already have acne scars, you have several options for reducing their appearance. Treat mild scarring at home using over-the-counter products. If your scarring is severe, consider seeing a dermatologist for professional treatments that can get rid of your acne scars. Do not squeeze or pick at pimples. If you have acne breakouts, try not to touch the skin. Squeezing and picking your pimples can lead to scarring. Use topical over-the-counter lotions that contain vitamin C, glycolic acid or retinol to reduce the appearance of mild acne scarring. 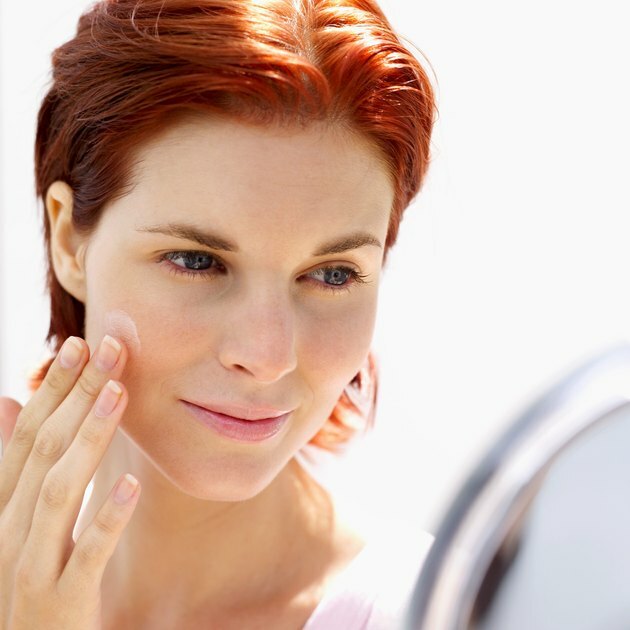 These creams increase collagen and can help improve skin that has deep acne scars. Talk to a dermatologist before starting any home acne or acne scarring treatments. Some acne scars can be made worse by improper use of home treatments. Teens Health: Can Acne Scars Be Removed? What Are the Benefits of Facial Treatments?